Do you have scrap metal in your garage, shed, or basement? Do you have a farm full of old equipment? Are you remodeling your home? Turn your unwanted scrap metal into cash at Sullivan Scrap. 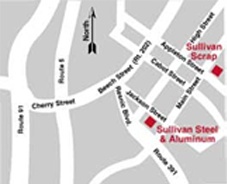 Sullivan Scrap offers the fairest prices in the area on all grades of ferrous (iron and steel) and nonferrous (aluminum, copper, brass, etc.) metals. There is no bargaining, no haggling, and best of all, no intimidation. The process is easy: get in, get out, get paid. We feature the latest technology to help make your experience painless. 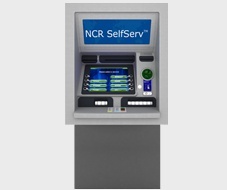 All transactions are computerized and all the cash is dispensed from our new ATM. In order to combat metal theft we require positive ID and a vehicle. We also automatically take photos of all the scrap we receive and keep a permanent record of it. You can be assured that Sullivan Scrap is making every effort to help combat metal theft.